Ad valorem is derived from a ‘latin’ word which means ‘according to value’. Ad valorem is a tax or a duty levied by the state, local or municipal government on the assessed value of the asset or property and not on the volume of the asset or property of the assesse. Thus under ad valorem tax, value rather than volume of the asset or the property forms the basis of the taxation. Usually state and local government use ad valorem tax system to levy property tax based on the determined value of the real estate property, but other taxes like VAT (Value Added Tax) and import duties levied by the government are also come under the purview of ad valorem tax. 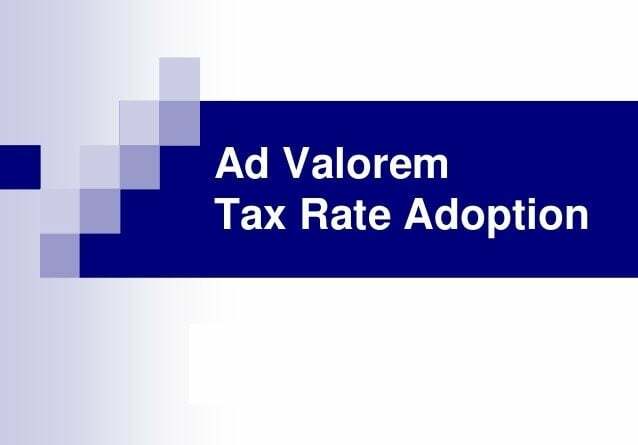 Ad valorem tax can be levied on a transaction or as an annual tax like property tax, VAT, and sometimes even on special cases like inheritance tax, stamp duty and more. Even though ad valorem tax results into lesser amount of tax collection for higher volume of lower value goods, but it assumes to be an important not major source of revenue for the government. Under the ad valorem tax, the public tax assessor first assess the current market value of the assets or the property and then such assessed value of the asset or the property is used as the basis to compute the annual tax liability of the assesse to the government or the municipality. Apart from the municipality or the local government, ad valorem tax is also used by some other bodies or entities like counties, school districts or a specially created tax district. Sometimes assesses are subject to ad valorem tax by the multiple tax entities, like municipality and a special tax district.